The Life of an AVEENO® oat farmer. For most moms, family is everything. For Kristy Boonstra, a mom and third-generation AVEENO® oat farmer, family and farming is everything. Just in time for Mother’s Day, AVEENO® would like to offer you an inside look at Kristy’s life as a third-generation oat farmer, with a masters in agronomy, to learn how she (and her family) put their hard work and passion into a product that eventually is used in households all across the world – AVEENO® Daily Moisturizing Lotion. Growing up, Kristy always dreamt of being a farmer. Now as an adult, it’s important to her to pass along the farming tradition to her children. Her story, including her passion and enthusiasm for the AVEENO® oat grown on her family farm is captured in “It Begins on Local Farms…” as part of the Brand’s “Beauty of Nature” video series. For Kristy, and her family, farming isn’t a job, it’s a lifestyle. Much like writing is for me. 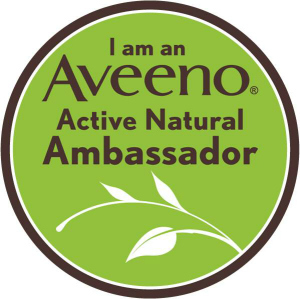 The complete “Beauty of Nature” video series highlights the compelling “farm-to-formulation” journey of the AVEENO® Brand’s first ACTIVE NATURALS® ingredient, oat. For many of us sustainability and natural ingredients are becoming more important in our daily routine. So take a few moments and watch the video series as it traces oat’s journey from local family farms to the AVEENO® laboratory where scientists unlock the ingredient’s natural ability to soothe, moisturize and protect. 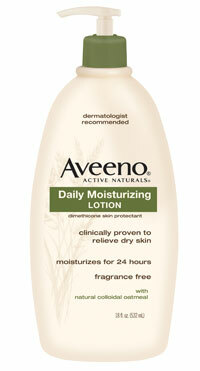 One reader will receive an AVEENO® Daily Moisturizing Lotion! Giveaway ends May 16th at 11:59pm, open to US residents, ages 18+. Only one entrant per household, per address. Winner is subject to eligibility verification. Enter using the giveaway form below. Good luck!